Looking to join a Great Team with Great Benefits? 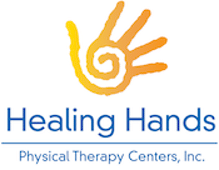 You have found the right place at Healing Hands Physical Therapy Centers, Inc.
Our thriving physical therapy practice with two locations is vigorously seeking experienced Physical Therapists and Physical Therapist Assistants. Come be a part of a team that fosters respect, freedom, autonomy, and independence.